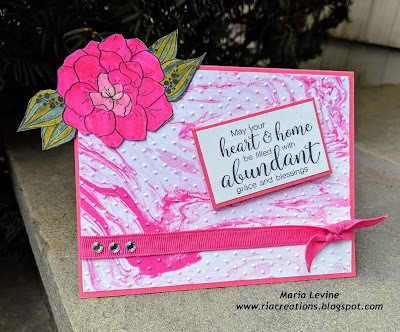 Maria Levine's Page - "My Unity Place"
Happy Saturday everyone! This week I am hostess with JUST US GIRLS and it's color week! I picked GREEN, ORANGE and YELLOW. 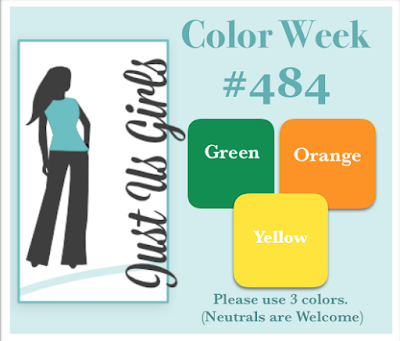 I hope you will find inspiration to create this week with these colors. Here is what I did using a great image from Unity Stamp Co.
Come swing on by our amazing Design Team to see what they cooked up with this week. Deadline to be considered for the "Chic of the Week" is 9:00 PM EST on Thursday, April 25. The Linky Tools form will close at that time. Our "Chic of the Week", will be announced the following Friday morning. Thanks for playing along. We can't wait to see what you create for Just Us Girls! Happy Saturday! 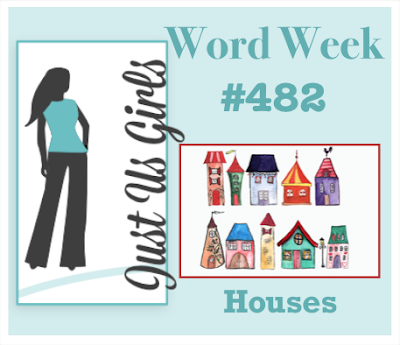 It's time for another fun Just Us Girls Challenge with Angie as our wonderful hostess. 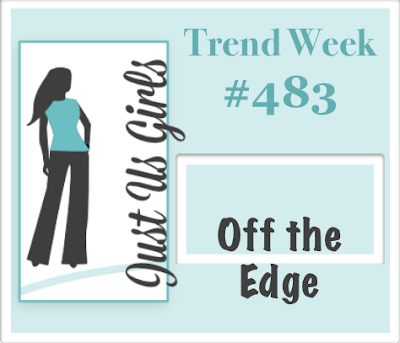 Angie has picked OFF THE EDGE for Trend Week this week. This is basically taking something off the edge of you card. Either stamp off the edge or put your images off the edge. I used this great flower from Unity Stamp Co. I colored with Tombo Markers, cut it out then just adhered on the card in the corner but off the edge of the card. Super fun there are so many possibilities. Come join us over at JUST US GIRLS to play along. 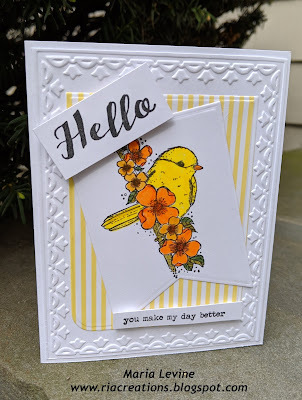 Christine - April Guest Designer! Just a reminder: If you win Chic of the Week in any of our April challenges, you are in the running to be chosen as our Guest Designer for the month of June. How to play: Please copy and use our graphic on your post. You need to upload your new project [no back dating please] for this week's challenge to your online blog or to a public photo gallery. Leave a link that goes directly to your project in the Linky Tools form at the bottom of this post. [Please limit your entry to 3] Deadline to be considered for the "Chic of the Week" is 9:00 PM EST on Thursday, April 18th. The Linky Tools form will close at that time. Our "Chic of the Week", will be announced the following Friday morning. Thanks for playing along. We can't wait to see what you create for Just Us Girls! Happy Saturday! This week is Word Week at Just Us Girls! Bobby is our amazing hostess and picked the word Houses. I can't wait to see what you come up with. I used Distress Inks in the background, doddled with a black pen for the border. My images are from The Dylusions line of stamps by Dyan Reaveley and Ranger - Shut up and color (sentiment) and Right up yo street (the house). 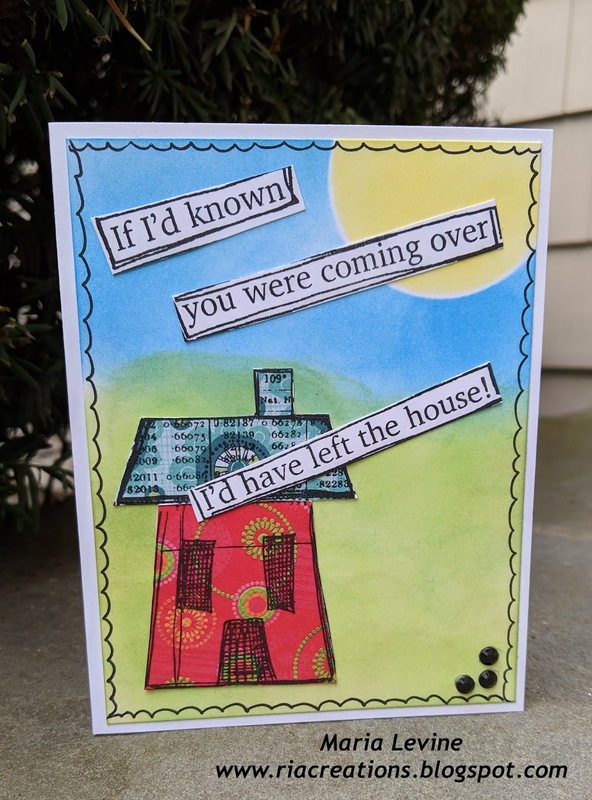 I paper pieced the house as well. Deadline to be considered for the "Chic of the Week" is 9:00 PM EST on Thursday, April 11 . The Linky Tools form will close at that time. Our "Chic of the Week", will be announced the following Friday morning. Thanks for playing along. We can't wait to see what you create for Just Us Girls! "Beautiful! 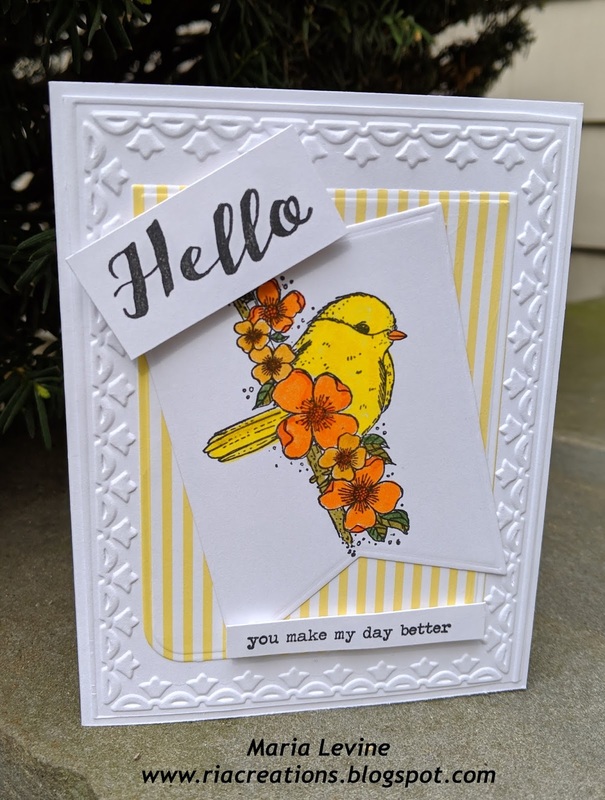 Love the layers of colors, script, stamps!" "Ok I can totally do that if that works :) I will come over to the group also thanks"
"August 4th is open! Come over to our FB group https://www.facebook.com/groups/537864239611706/ "
"Maria Would it be possible to swap my week with someone? I am going to be away the week I am due to be on Dec 29th. Thanks Mandi"
"HI Kassi! I'm sorry you are not feeling well! I will shout it out to fill it then. Thanks!" "Hey Maria,I'm supposed to do GIU the week of Aug 4th.... however, I've been really sick, and I'm kinda behind on stuff, so if you want to give someone else a chance, that would be GREAT!... Plus, being on the design team, I would love…"
"HI everyone! I'm posting and and on FB but we have a spot open for GIU the week of June 16 if anyone who has not done it before is interested. Please email me at riaann at optonline dot nct Thanks! I will take the first person…"
"And...here is my email address: housesbuiltofcards@gmail.com Thanks!" "forgot my email address. faithful2god_2000@yahoo.com "
"UPDATED! AND we are filled for 2014!!! WOW! If you didn't get a spot be sure to follow this board all year! If someone has to back out at the last minute because well life happens I will post here to find a…"
"Hi can I have the week of Nov 17th or any week that is left :) I had no idea this was already up and running I have been waiting months to sign up for it :) mandimance@hotmail.com thanks :)"
"Sorry, forgot to leave my email address: Krisbudreau@yahoo.com Kris B"
Hi Maria, thank you for the info. I found out that kit is retired :o(. Now trying to search everywhere to see if someone wants to sell it to me. Signed desparately seeking "She said..." Donna Downey.